A dynamic microphone with a brand and reputation you can trust, the Shure SM58 is an industry-standard vocal microphone which delivers warm and clear vocal reproduction. 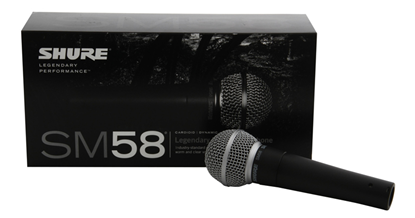 The e 835 dynamic cardioid live mic represents industry standard vocal microphone quality, at an affordable price. 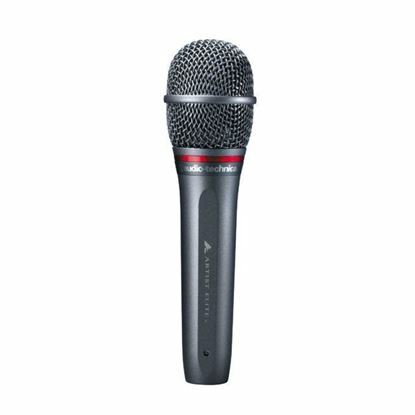 The Sennheiser e 845 dynamic super-cardioid mic is a superb choice when you need a high quality, professional microphone that captures vocals at a friendly price. 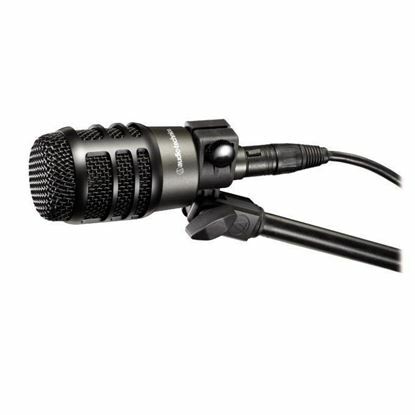 The best value Shure Microphone: Ideal for use in lead and backup vocal performance applications, the PGA58 comes with an on/off switch, swivel adapter, carrying pouch and 15 foot XLR-XLR cable. Cut through with superior vocal tone. A great microphone for lead and backing vocals. High end sound for stage and studio vocals. Great for lead vocal - plenty of gain without noise and feedback. Audio-Technica’s high-performance AE4100 cardioid dynamic vocal microphone features superior anti-shock engineering and its excellent isolation properties is ideal for the stage. 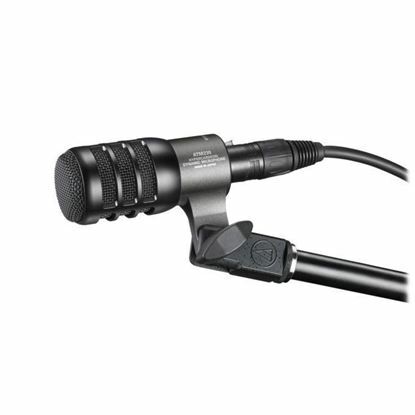 Audio Technica's ATM230 hypercardioid instrument microphone handles very high SPL at close range and is ideal for miking toms, snare, and other percussion instruments. 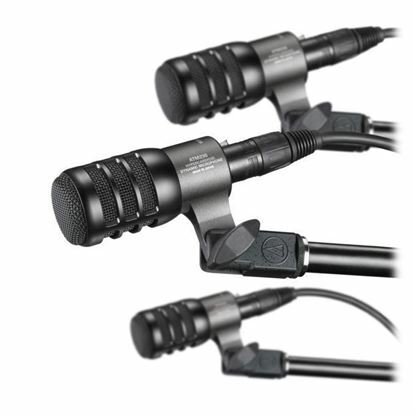 Audio Technica's ATM230PK Drum Microphone Pack gives you a set of three compact microphones specifically engineered to mic rack and floor toms, snare drums and other percussion instruments. Audio Technica's ATM250 hypercardioid dynamic is ideal for kick drum, percussion, brass and other highly dynamic instruments.